We create and staff London's most intimate and innovative events. After working for a decade for some of London's premier event companies and venues, we decided it was time to go it alone in 2014. We felt that events business was dying to become more personal and bespoke, but the traditional corporate constraints made it difficult to achieve the results we felt our clients deserved. 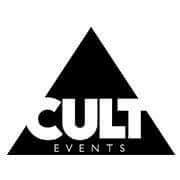 We set out to create an events consultancy that would be personality-led and bring your event visions closer to reality. We work with companies of all sizes, as well as individuals, to create unique nights and incredible experiences. Whilst we specialise in innovative, crowd-pleasing cocktails, with our years in the industry there isn't much about events we can't help with - and if we can't do it, we'll damn well know who can! From weddings to birthdays, conferences to engagement parties we can make sure your big day (or night) is the talk of the town. Need help growing your events business, or taking your bar to the next level? Our extensive experience and vast network can be at your service. Whether you need bar staff, butlers, or even performers - with Adapt you know that you'll get professionalism and personality, all hand-picked by us. Every season we work with our team of mixologists to create a handful of bewitching cocktails, made with only the finest ingredients and techniques.